It calls itself a rescue — but critics say there's so much more to the story. 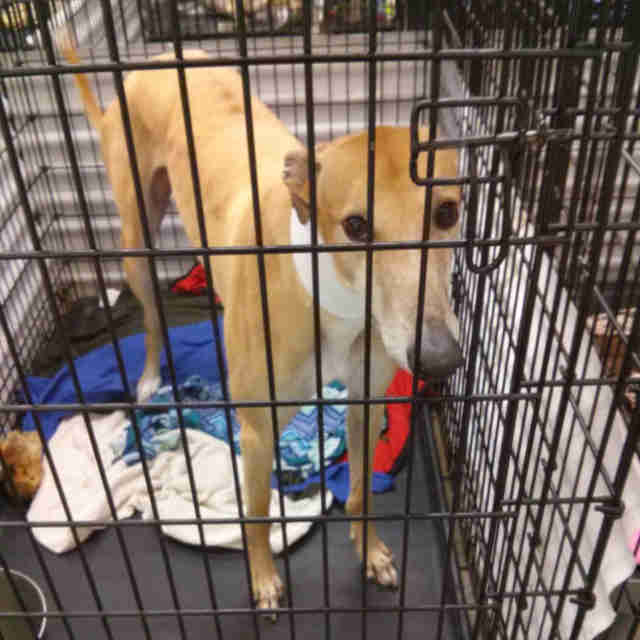 The moment anyone stepped into Hemopet’s building, where 200 greyhounds are kept in tiny, rusty cages, the dogs erupted with sound. 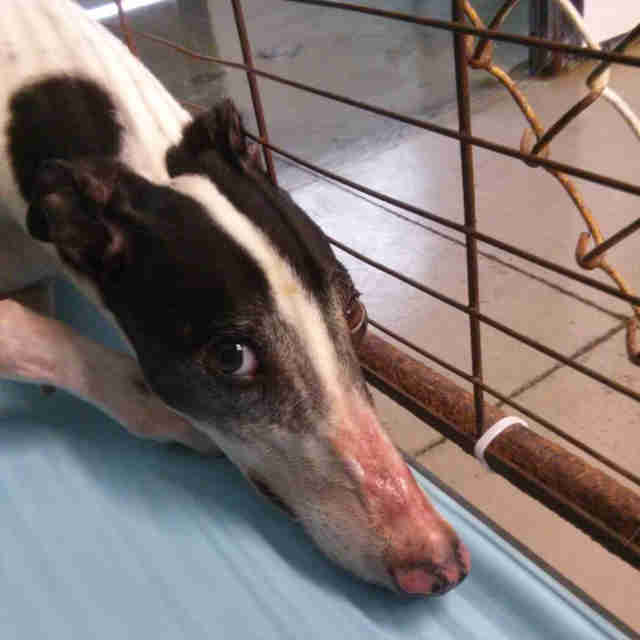 Hemopet is a California business that claims to operate as a canine blood bank that “provides state-of-the-art blood components and supplies for transfusions to veterinary clinics nationwide.” It takes greyhounds who have been discarded from the racing industry and houses them at its facility in order to regularly draw their blood, and this blood is then sold to veterinary clinics throughout North America and Asia to help sick pets. 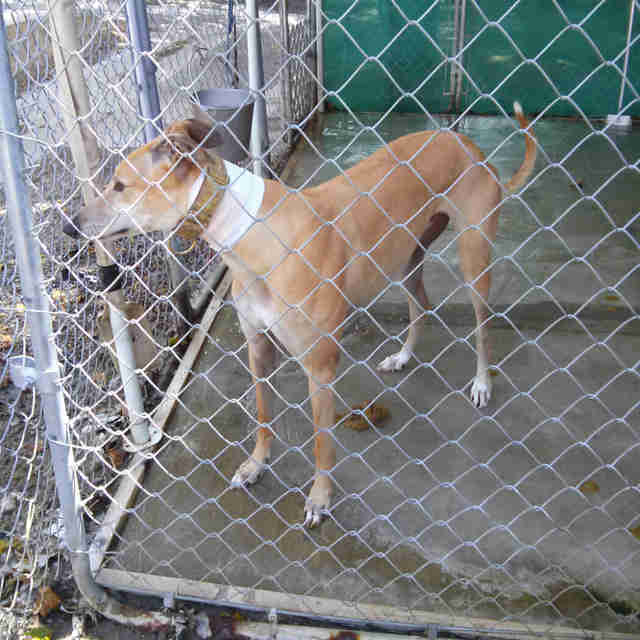 Eventually, the greyhounds are put up for adoption and placed in homes. At first glance, the mission of Hemopet seems quite honorable — yet animal welfare advocates have serious concerns for the treatment of dogs at this facility. 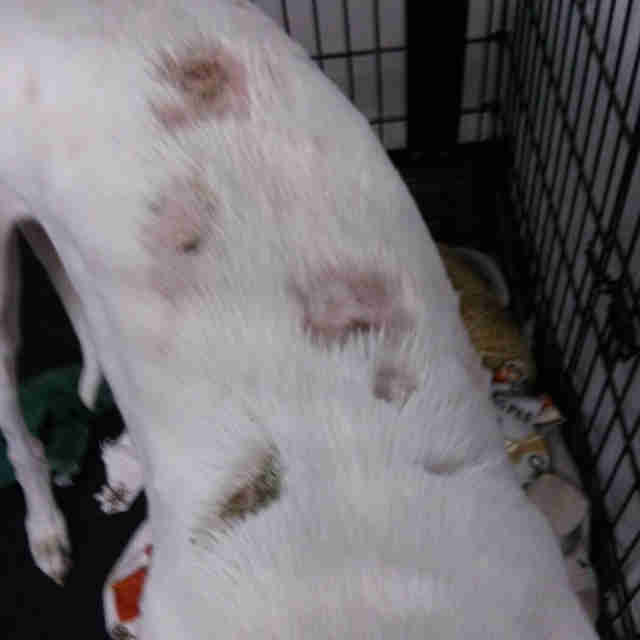 Last year, an investigator from PETA went undercover at Hemopet for three months, and reported that the greyhounds were severely mistreated and neglected. The dogs were only taken out for two reasons, according to Paden — for their blood to be drawn, or to go on a short walk. “You have dogs who have been discarded by the racing industry … who, like every dog, need an opportunity to run and to play, only being taken out for five minutes, and put on a concrete path as their so-called exercise,” he said. 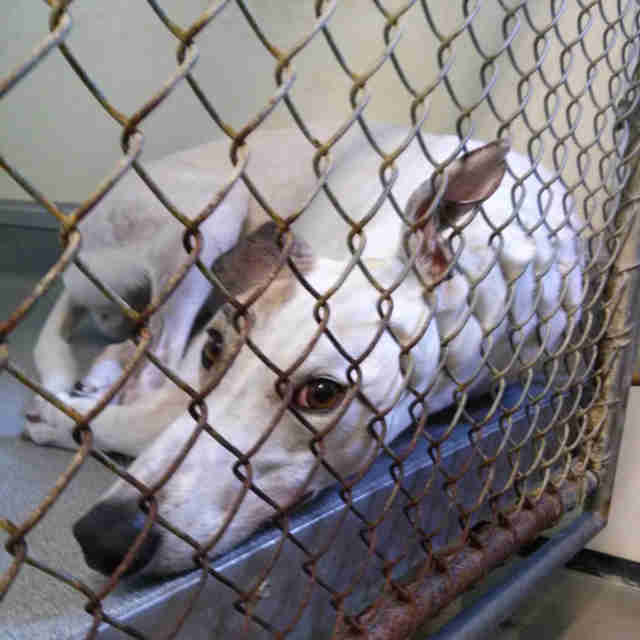 The greyhounds don’t have much comfort and enrichment inside their cages, either. At most, they might have a thin blanket and a single toy, Paden said. 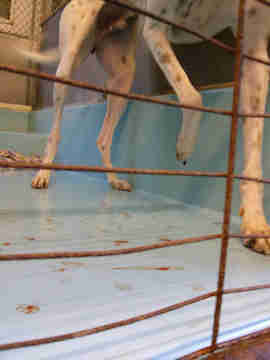 This severe confinement has left many of the dogs with health issues. Despite being neglected by their caretakers, most dogs at Hemopet were desperate for attention, according to Paden. They’d wag their tails hard when anyone approached their kennel — so much so that they’d injure and break the tips of their tails. Being locked up in cages was just one element of the dogs’ misery — another was the blood drawing process itself. The dogs were bled frequently, every 10 to 14 days, and many became sick as a result, according to Paden. While donated blood from dogs is lifesaving in veterinary clinics — some owners even volunteer their pets as donors to save other lives — the way Hemopet operates is extremely controversial. 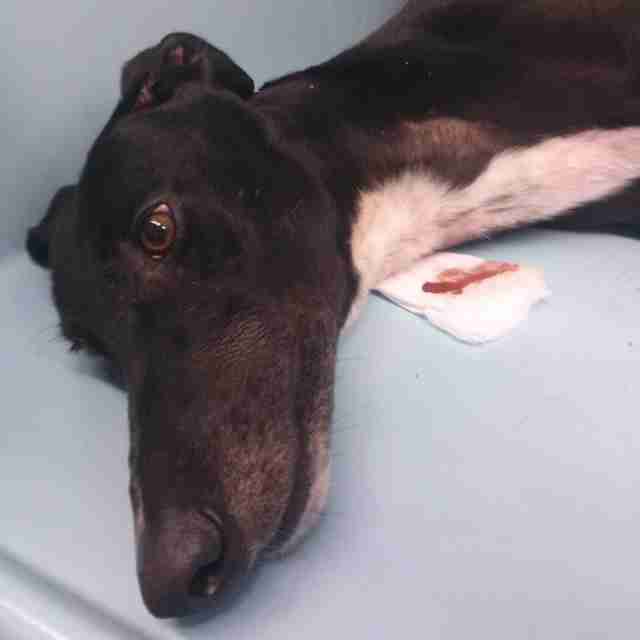 None of the dogs seemed exempt from the blood draws, even if they were ill with conditions like lupus. Taking blood from a sick dog isn’t just dangerous to that particular dog — it’s also hazardous for the dog receiving the blood, Paden pointed out. Despite selling dog blood for a hefty profit, Hemopet is actually registered as a nonprofit in the U.S., which has left animal welfare advocates scratching their heads. Paden is also concerned by Hemopet’s claim that it’s a legitimate rescue and adoption center. “It was an eye-opening experience, and also a heart-wrenching experience for the witness,” Paden added. When The Dodo reached out to Hemopet, a spokesperson sent a statement, saying that PETA has "broadcasted unfounded information about Hemopet and animal blood bank services." The company emphasized its charity status, and claimed to run as an "exemplary facility" that took the welfare of its dogs into account. "Our dogs are cared for by over 40 persons and additional volunteers who directly and regularly walk and play with them," the Hemopet spokesperson said. "There is a national shortage of safe and blood-type compatible blood for companion and working animals. If not for Hemopet’s animal blood bank services, countless animal patients in need of transfusions will suffer and some will die." While blood is often necessary to help sick pets, Paden believes there are more ethical ways to obtain that blood. Another alternative is for veterinarians to ask clients to donate their pets’ blood to help other pets in need. To help put an end to blood banks like Hemopet, Paden encourages the public to speak to their local vets about this issue. 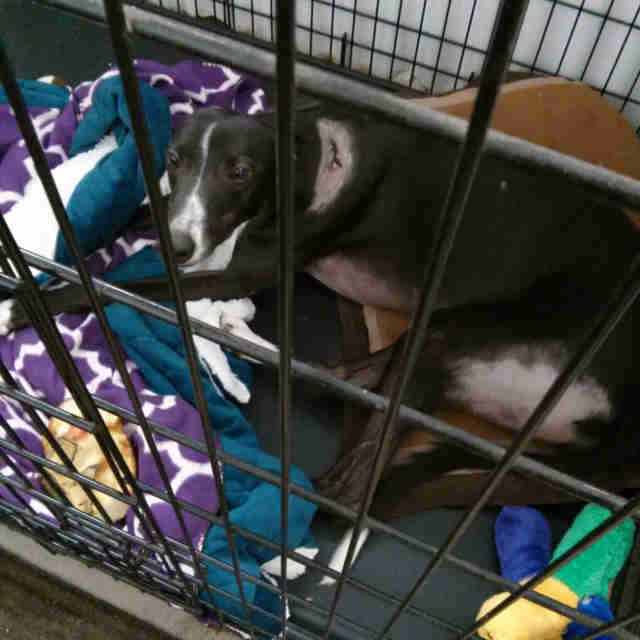 To help the dogs at Hemopet, you can write to the National Greyhound Association (NGA) and encourage the group not to send any greyhounds to Hemopet.